St. Andrew's College has a long and fascinating history, beginning September 10, 1899, the first day of the School. Founded as a residential and day school in Chestnut Park in Toronto by Rev. Dr. George Bruce, the School’s first Headmaster, the School admitted approximately 50 boys, 15 of whom were boarders. Five masters took the academic reins, and the boys were divided into four classes. 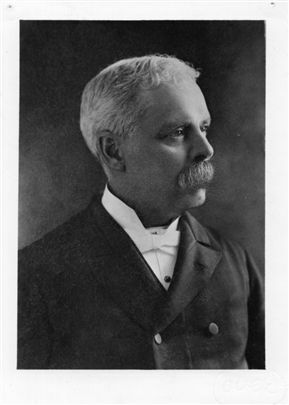 Owing to Dr. Bruce’s ill-health, he was succeeded by Dr. D. Bruce Macdonald, who went on to become the longest serving Headmaster (1900 to 1935). In 1905, the School moved to a newly-built campus in Rosedale. That same year, the Highland Cadet Corps was established; its highest ranking student was Vincent Massey, who later became the first Canadian-born Governor General of Canada. The Pipes & Drums became part of the Cadet program in 1915. The School sojourned briefly at Knox College from 1918-1920, when Rosedale was used as a military hospital. Six hundred Old Boys served during the First World War, and 104 were killed in action. In 1926, needing more space and a setting away from the perceived negative influences of the city, SAC moved to the present Georgian-style, 110-acre campus in Aurora. The Chapel was consecrated in 1931 and prevails as a welcoming symbol of the School. 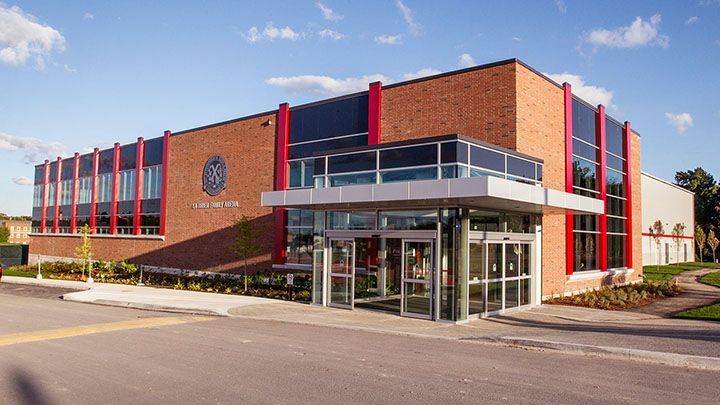 Over the decades, several new buildings were added to the School, including the Campbell Houses, the Great Hall, and the Athletic Centre. 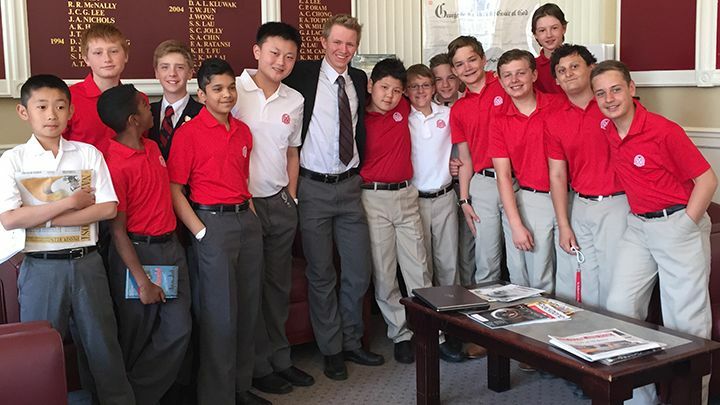 Today, St Andrew’s College has 621 boys, with 361 day students and 260 boarders representing Canada and 30 other countries. Kevin McHenry is St. Andrew’s eighth Headmaster, having assumed the mantle on July 1, 2009. St. Andrew’s continues to epitomize the epithet, Not an Ordinary Place, originally coined by Goldwyn Smith, a friend of Headmaster Macdonald and of SAC, but more well-known as the title of Head of Drama, William Scoular’s book chronicling the first 100 years of the School. The phrase illustrates perfectly the impressive character of St. Andrew’s College from 1899 to the present day. Many well-known and prominent Canadians spent their formative years at St Andrew’s College, including Vincent Massey, Lawren Harris, Donald Davis, Timothy Findley, John Crosbie, J.A.D. McCurdy, Tony Fell, Rob McEwen, Kiefer Sutherland, and Steve Amell. The SAC Archives is a wonderful repository of photographs, documents, and artifacts. We are dedicated to preserving SAC’s heritage by collecting and promoting records and artifacts of permanent value to the SAC community. 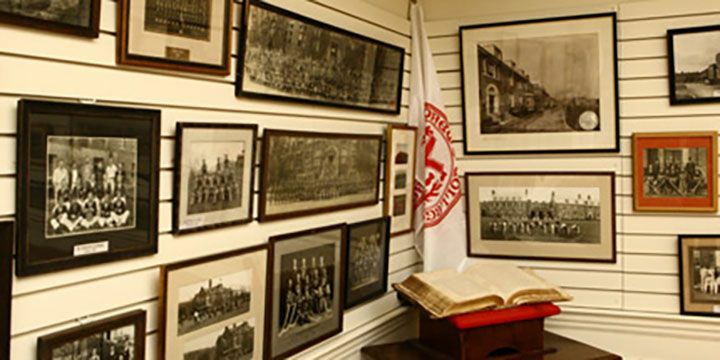 The School's archival records date back to 1899 and offer a wealth of information about the history of SAC. Our Old Boys have played an active role in all spheres of life, not only in Canada, but worldwide, including politics, business, the arts, and sports. Our textual collection includes student records, The Andrean, The Review, and ephemera such as invitations, student publications, and events-related papers. This collection has photographs, slides, negatives, films, and tapes depicting students, faculty, drama, and sports. These include medals, trophies, sweaters, caps, ties, pennants, sports equipment, and Cadet uniforms. All past issues of The Review and The Andrean are available online; the photograph collection is constantly being updated and many photographs are currently available for viewing. Click here to view our online archives. For more information or to donate your SAC treasures to the Archives, please contact Lori Lu at 905-727-3178 ext. 281 or email. SAC is rapidly growing a wonderful online archive. We have digitized The Review up to 2010 and The Andrean, along with over 4,000 photographs; we are currently entering the metadata about the photographs to make searching more effective. Meanwhile, please click here to search our collection. Please remember that this is a work in progress, and do let us know any recommendations you have. We hope you enjoy it! Chapel has been central to community life at St.Andrew 's College since its founding in 1899. Click here to find out more. 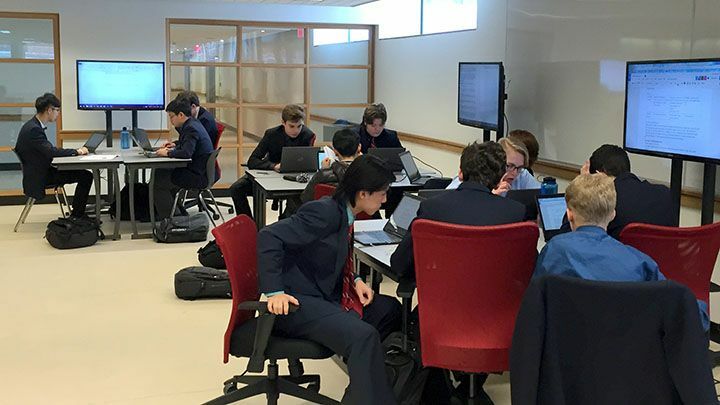 The Old Boys section of the website offers our Old Boys a chance to reconnect with their School. Support SAC by making a gift today!